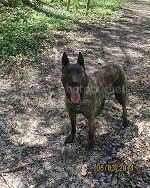 Tell us about yourself: I am a former K9 handler, serving in the Air Force, many moons ago. 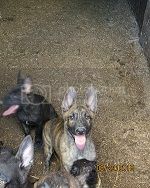 I got into the Dutch Shepherds over 6 years ago and now have 3 of them. I needed a hobby after all my kids had grown. Born 6/19/2016, 3 females and 5 males. No Health testing, 6 years old and is in perfect health, her 4th litter. These pups have lots of nerve, they have strong hunt drive. Sire started in Search And Rescue, he loves nosework, he is a very serious dog when he is working. Dam has super drive, she has strong focus and will do whatever I ask of her. Pictures are of 3 of the males. 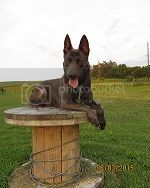 Tell us about yourself: My name is Linda Werlein with family in Bavaria, Germany, I am the owner & founder of Von Asgard K-9 Center a 40 acre professional training and boarding facility located an hour south of Tampa, just off I-75 and inland from Sarasota & Bradenton, FL. 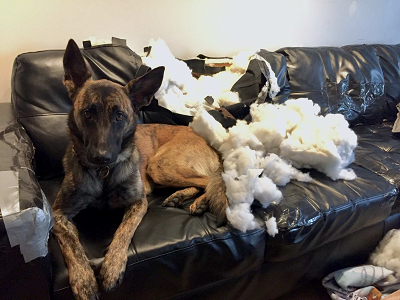 Established in 1979 and located here in Manatee County for the past 22 years, Von Asgard specializes in importing, breeding, training, and handling hard hitting European Working Dogs. Cedrik Merlet, Von Asgard's Manager and KNPV, Mondio Ring & French Ring Training Decoy from Europe is available for world class training for both you and your dog. Check us out at: www.VonAsgard.com then give me a call at 941-322-0705 for more details. 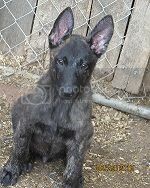 Read your post about the Dutch Shepherd litter you have. They are about 12 weeks old now . . . is that right? My interest is in a working line female only. 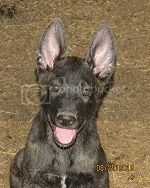 I have a KNPV bloodline male and I interested in training/competition . . . and in the future to use for breeding. Do you have any females left that exhibit strong working drives? A picture and price would be appreciated.